Owing to our expertise in this domain, we have been able to provide the customers with a gamut of Refractories Products. Under this range, we offer High Alumina Bricks, Special Purpose Refractories, Fire Bricks, Specially Shaped Bricks, Bottom Pouring Set and Insulation Bricks, to name a few. The entire range is sourced from reputed vendors who employ superior-grade components during the fabrication process. Offered in a plethora of sizes & thicknesses, the range is acknowledged for high strength, light weight, low thermal conductivity and heat resistance. Nozzles are used and developed in conjunction with well-blocks for the steel and non-ferrous industries and are main used for controlling the flow of steel from the ladle. Our nozzles are made from high quality fire clay and bauxite formed on heavy duty presses. Our nozzles are fired at extremely high temperature in order to increase corrosion resistance to metal. 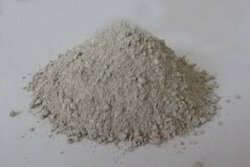 Fireclays were originally valued as refractory raw material because of their relatively high alumina and low alkalis contents. 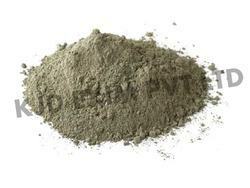 Fire Clay is manufactured in different grades such as Moderate Heat Duty, High Heat Duty, Super Heat Duty and High alumina clay upto 60% alumina. These clays are used in wide range of applications for laying, bonding and jointing masonry Tiles/Bricks/Shapes in construction of furnaces and other refractory construction and lining work and applied with water or silicate solution. 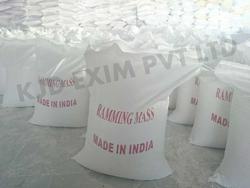 Ramming Mass is refractory lining material for induction furnaces to prevent from Anti Coating, Corrosion & Erosion Resistant. 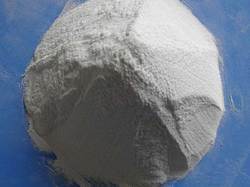 High Alumina ramming mass contains high alumina level and widely used in industries like Non ferrous and ferrous Industries, line and patching material for holding laddles, iron and slag tapping furnace arches and roofs. It is also used in high temperature applied in metallurgical furnaces and for lining of rotary iron melting furnace and repair off electric arc furnace. 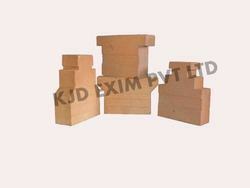 Bottom Pouring Sets are mainly used for ingot casting in steel industry. 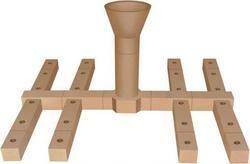 It is a completecombination set of runner bricks and special hollow shapes for bottom pouring molten metal. These shapes are processed from refractory grog and fire clays. The different fractions of these raw materials are mixed and pugged for obtaining homogeneous mix. The mixture is pressed in high capacity friction screw power presses and hydraulic presses for obtaining desired collar, shape and accurate dimensions and, then fired in pusher type continuous tunnel kiln at high temperatures. All sizes are available as per bottom plate size. High Alumina Bricks are produced with selected bauxite chamotte as main raw material, fired at 1450-1470 °C by advanced process with strict quality control. High Alumina bricks have great features like high temperature performance, great corrosion and wear resistance, high bulk density, low iron content, etc. High Alumina bricks are extensively used in mining, metallurgy, cement, chemical and refinery industries. 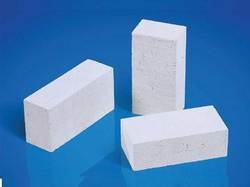 These bricks are also used in all kinds of industrial furnace and high temperature areas to prolong the lives of furnaces..
Refractory laddles sleeves are equipped with stopper rods to control the flow of metal during casting. These metal stopper rods are pivoted at the top of the ladle and pass vertically through the molten metal to the nozzle at the bottom. To prevent stopper rods from being attacked by the molten metal they are incased in fire-clay sleeves. The number of sleeves required (from 5 to 9) on a rod varies according to the depth of the ladle. The sleeves are joined by fire-clay cement. All sizes with different ODs available as per users specification. Backed by the rich industry experience, we have been able to provide the customers with a comprehensive assortment of Specially Shaped Bricks. We source the range from some of the coherent vendors of the market who employ superior-grade components during the fabrication process. Extensively used in the construction sector, the range can be availed in varied sizes & thicknesses. Abiding by the ethical norms & standards established by the organization, we are engaged in catering to the variegated demands of the customers by bringing forth an array of Bottom Pouring Set. Sourced from authentic vendors, the range is developed using different fractions of refractory grog and plastic & on-plastic fire clays. Acid-Proof Mortar is made of high aluminum powder, corundum, mullite and high viscosity refractory powder as main material, adopting the combination of different bonding agent, additives, plasticizer. It is featured with strong cohesive force, flowing, good workability and good usability. And it is commonly used in CFB boilers, chimney lining, etc. are recommended for floors & working areas which are subject to occasional spillage of acids & in contact with dry chemicals, as in Fertilizer silos etc. A pure, buff white powder & crystal clear Solution of K-Silicate Mortar is generally used as bedding Mortar in all types of Bricks, Tile & Stone Lining work. It is highly recommended where concentrated Sulphuric & Nitric Acids are used. It is most Identical Cement-Mortar for the Acid Proof & Refractory Brick Lining work into the RCC CHIMNEYS & TOWERS since it has a unique nature of Acid & Heat Resistant. An Identical Resin base mortar available only with us which can resist most of Acids, Alkalis, Solvents, Salts, Greases, at different Concentration & Temperature. It is Suitable for Refineries, Petro-chemicals, Fertilizers, Yarn Processing, Precious Metal Projects in awkward Chemical Conditions too.. It is generally used as Bedding & Jointing or as Jointing/Pointing Mortar in Acid Proof brick Lining & Flooring work. Most Widely applicable material against Corrosion used as coating, screening, grouting and jointing material. Also used for bonding old to new concrete. Most suitable where mild acids are used. 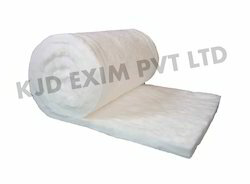 It resist temperature upto 90Â°C Generally used in Dairies, Air, Breweries, Foods, Alcohol, Textile base industries. An Industrial Asphalt base anti-corrosive Primer. Used to protect structures against atmospheric corrosion and effects created by acid fumes and dry wet gases. Another Bedding & Jointing OR only Jointing/Pointing Mortar for Acid Proof Brick / Tile / Stone lining work can Resist Oxidizing and Organic Chemicals Upto 170Â°C It is most suitable where Sulphuric Acid used. Much of its use is in Phosphates and Fertilizer base Industries. • The ropes usually contains small amount of binder material that does not affects the insulation properties and it can burned at low temperatures. • The ropes can be used for high temperature applications up to 2300° F.
• The ropes manufactured with us are highly flexible, durable and light weight. Ceramic Fiber Modules are made of using high quality fiber blanket. These ceramic fiber modules are available in different length, size and it can be quickly customized as per customer specifications. The ceramic Fiber modules offered by us are suitable for various industry applications serving large customer base in India and worldwide. These ceramic Fiber modules are light weight having low heat storage and durable services. Our boards are made of using refractory fibers and binders. The ceramic fiber board manufactured with us having excellent mechanical strength and low organic content. Our ceramic fiber bulk board are durable and functional suitable with your innovative design. Our products had low thermal conductivity ability to work at different temperature conditions effectively. Insulating fire bricks soft bricks and they are light in weight. 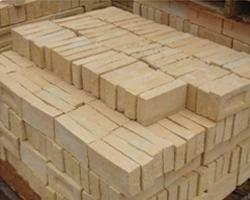 Insulating firebricks have high porous rate and have excellent insulating properties. 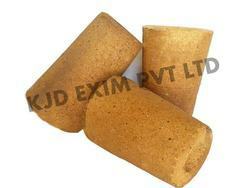 Kohinoor Refractories offers a complete range of insulating firebrick i.e. 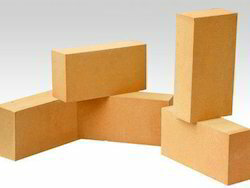 Cold Face Insulation Bricks, Hot Face Insulation Bricks, Kyanite Insulation Bricks, Mica Insulation Bricks and Silica Insulation Bricks that offers excellent performance and value for a wide variety of industries and applications. 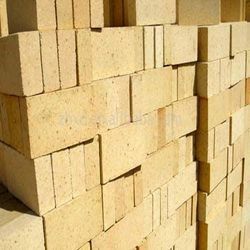 Different grades of insulating firebrick are manufactured according to international standards, and are suitable to operate in various temperatures. Leveraging on the rich industry experience, we have been able to provide the customers with a commendable assortment of Acid Resistant Bricks. We develop the range using superior grade material, which imparts high load bearing strength to these bricks. Ideal for varied industrial applications, the range is known to resist alkali, solvents, acids, greases and salts at varied concentration. Widely appreciated for sturdiness, precise dimensions and longer working life, the range can be availed in varied sizes & thicknesses. We are counted among the prominent organizations engaged in fulfilling the diversified demands of the customers by bringing forth an array of Special Purpose Refractories. Obtained from authentic vendors, the range is developed by employing high-grade components and advanced techniques. 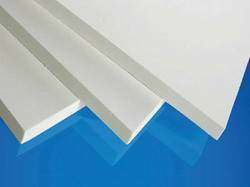 Diversely used in construction sectors, the range can be availed in varied sizes & thicknesses. From ladle to continuous casting tundish, we supplies most advanced slide gates and tundish refractories. We supplies technologically advanced products for casting applications and to ensure your unique operation is optimized. A full range of nozzle materials and designs within our product portfolio, compliments our range of plates. We are able to supply refractory materials and designs to suit customers' individual requirements. 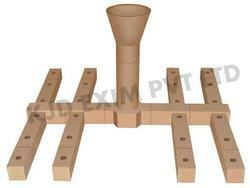 Well blocks can also be supplied to complete the refractory stack-up. Tundish boards are essential components in continuous casting tundish used to form a inner lining.. These boards serve the purpose of fresh board lining every time it gets changed. This helps in improving the quality of steel being manufactured. Alumina/Alumina Carbon/Zirconia Alumina Nozzles – provided for single to multiple casting applications. With the support of our experts and sophisticated in-house facilities, we have been able to offer Ceramic Refractorie. Extensively used in lining furnaces, fireboxes, kilns, and fireplaces, the product offered by us is manufactured in compliance with set industry standards by utilizing optimum quality material and leading techniques. Our quality controllers monitor this product at each stage of production to ensure its flawlessness. Also, we offer this product in various sizes to our customers in a given time frame. We offer a wide range of high quality refractory materials, to achieve consistent and reliable high performance. Slide gate refractories are used for a wide range of applications. Specific physical, chemical and mineralogical compositions of high purity ensure high corrosion and erosion resistance, optimum thermal shock resistance to yield optimum performance. Hanger & Shoulder bricks are widely used as a roofing material for reheating furnace of steel rolling mills. 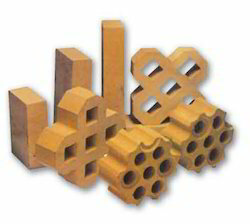 A full range of these bricks are available with different alumina contents with groove or without groove. 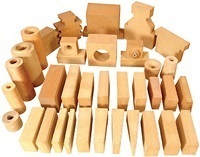 These hanger and shoulder bricks are available in various dimensions and in different shapes such as arches, wedges and keys as per client's specifications. 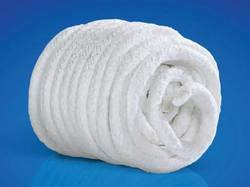 Our ceramic fiber blankets are manufactured from bulk fibers prepared using latest spinning process. This is a highly durable continuous blanket with no added constituents and binders. Our ceramic fiber blankets are popular for uniform distribution and unexceptional length and quality. 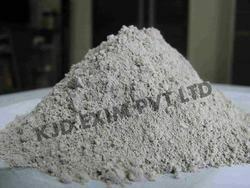 Pure aluminum silica used as raw material. The ceramic fiber blanket manufactured with us is sewed with double needle to retain the physical and mechanical properties of blanket. 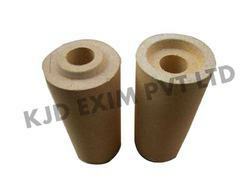 Mortars also known as fireclay mortars are primarily used for jointing the refractory fire bricks. Basic mortars processed from special grade fire clays, refractory aggregates and aluminous cement of exceptional chemical purity under stringent quality control. These mortars are used for laying the basic layout of the bricks. This fire clay mortars finds extensive applications in general purpose low temperature lining, quick patch repairs bricks joining setting pointing and for lying of high grog & dense bricks. Fire clay is great affordable solution for low temperature applications. Carving a niche for the organization, we have been able to provide the customers with a remarkable assortment of Insulating Refractories. Suitable for varied applications at service temperatures ranging from 12500oC to 18500oC, the range can directly be exposed to flame. High resistance to reducing atmosphere. Refractory mortars i.e. 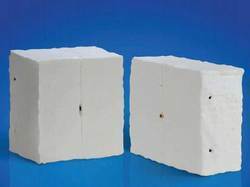 fireclay mortars and the high alumina mortars are primarily used for jointing the refractory fire bricks and the high alumina bricks. The mortars are used for laying the basic layout of the bricks. 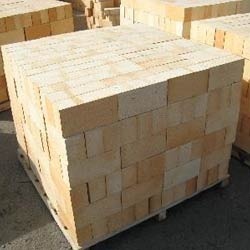 With the aid of modern tools and sophisticated technologies, we have been able to provide the customers with a commendable assortment of Refractory Bricks. Manufactured using superior quality refractory ceramic material, the range is widely appreciated for lightweight and ability to withstand adverse weather changes. Besides, the range bears excellent physical & chemical attributes and resists acid corrosion. 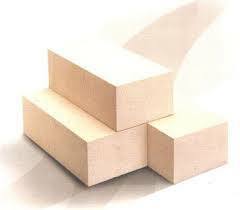 We are a well-known business organization engaged in offering a broad array of General Refractories Bricks. High grade iron and steel are used to manufacture this product which is done by our vendors. These are fire resistance and reaches to the client in stipulated time frame to meet the expectations of our clients. The offered range is available in reasonable prices and wide assortment for our reputed clients. Looking for Refractories Products ?